If you attend the above and want a refund of your local dues after one year, just call and request it. No questions asked. C’mon! Give us a try! Find out why more than 350+ other area businesses have joined the Home Builders Association of Berks County. *Refund offer applies to the local dues only. A portion of your dues is paid to the Pennsylvania Builders Association (PBA) and the National Association of Home Builders (NAHB). Would you like your company to grow and / or become more profitable? By becoming involved in the HBA, you create more opportunities to meet and share with Members in the building industry and the customers wanting to hire in Berks County and beyond. Do you want to know the movers & shakers or be a mover & shaker? For fun and business contacts: Installation Banquet, Spring & Fall Golf Tournament, New 2019 BBQ Pig Roast, Lobsterfest, Parade of Homes Gala, and more!!! Will your company grow with better, less expensive insurance? Members have access to our health & workerï¿½s compensation insurance programs – offering some of the best rates in town. This benefit alone may cover the annual dues payment… and then some! Would you like $1,000 with no strings attached? GM is proud to be the exclusive automotive partner of the NAHB. Receive a $1,000 rebate on every new fleet vehicle ($500 for retail deliveries) you purchase or lease after you negotiate your best deal. If you have a fleet, imagine how much this one benefit can put back in your pocket. Do you want to become the authority? Recognized in 2013 as the Best-in-Nation and in 2012 as the Best-in-State publication, this 32+ page, four-color glossy, premium magazine is mailed to & distributed at more than 3,500 locations bi-monthly. Though sent to all Members, its target audience is the home owner and business owner not just the Members. Only Members can submit articles, not professional authors. Write, or have a piece ghost-written for you, to reach new customers. Do you want to show the masses why your firm is the best? These events grow each year. The highlights of our year, it is a prime time for Members to talk with customers looking to hire or buy products. What’s more, beginning in 2014, the Parade of Homes is now open to outstanding New Home Builders and Superb Remodeled Home remodelers & trade contractors. Do you have any legal questions? For answers to legal questions about the industry, access NAHB’s legal department. Would you like to save $150 every time you dig? Send or fax invoices to the HBA office for verification of Membership and the $150 fee is paid for by your association. Unlimited FREE uses with your Membership. Do you know it all? Want to? Problems or questions on anything, just call our staff…. we work for you! Membership in the HBA of Berks County makes YOU eligible for the PBA Worker’s Compensation Program with some of the best rates in the state. . .
E.K. McConkey & Co., Inc. The Pennsylvania Builders Insurance Program (PBIP) makes it easy for you to provide high-quality health insurance (and other employee benefits) to your employees. The best part… you get special pricing and local representation as a Member of HBA of Berks County. With PBIP, you have many choices available. Ask your local agent / broker to pick the best PBIP plan that fits your business needs. 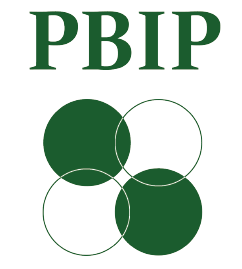 PBIP representatives are also available directly to help you. Our Builders Association federation (NAHB, PBA, HBA) celebrates Members who show their love & loyalty by recruiting and helping to retain other Members. A Life Spike Member is any Member with 25.00 or more Spike credits.